Is your Enterprise Reaping the Benefits of an HR and Payroll Management Software? If you own or manage a small to medium sized business, you may have dismissed the idea of using an HR software to help run your business as too costly and unnecessary. However, HR software can be of enormous benefit to smaller firms if it is chosen carefully and meets the unique requirements of the business. SalesFundaa HR and Payroll Management Software is devised to automate all payroll tasks involved in calculating the salary of the employee, calculating the statutory deductions, arriving at the amount of payout to be done and ensuring that the calculated amounts are paid out to employees on time. Traditionally HR and payroll is a tedious process repeated every month. Now, thru SalesFundaa HR and Payroll Management Software with a single click ti is possible to calculate the gross salary, deductions, statutory compliance and net salary for each employee and processes it instantly. Even for complex process where apart from calculating and disbursing salaries, payroll processing also involves calculation of all statutory dues (employee and employer contributions), generating reports in the format mandated by law and filing (submitting) these reports along with the amounts to the relevant government departments SalesFundaa HR and Payroll Management Software has come in handy. Additionally, employees need to be informed about the salaries paid to them, tax deducted, reimbursements, etc. This is done via payslips. 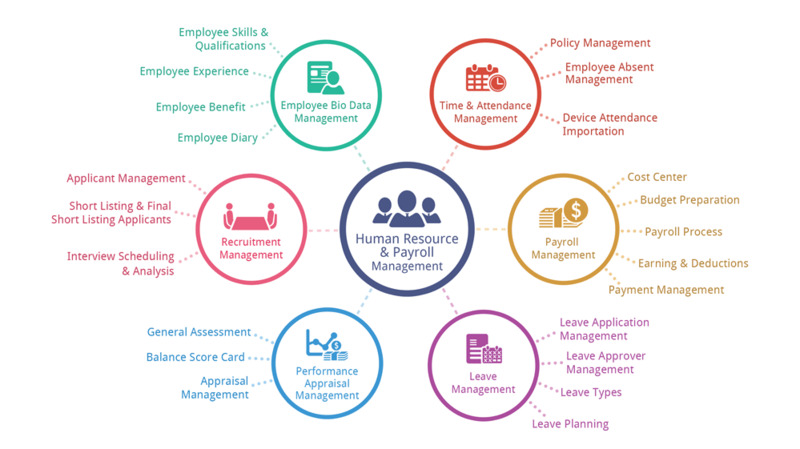 Salesfundaa HR and Payroll Management Software can be relied on to do all of these activities at a fraction of cost and time required to perform these tasks manually. The payroll software also ensures accuracy of data. What are the advantages of using an HR and payroll Management Software? With the advent of SaaS, everyone wants to pay only for what they use. Even if it is a core function, organizations want it to be managed using software that can scale up accordingly. Nobody wants to invest big right at the start. Cloud-based SalesFundaa HR and Payroll Management Software is the most cost-efficient choice. SalesFundaa HR and Payroll Management Software can be easily configured with multiple features, options, business rules and policies based on your organization’s requirements. All necessary inputs to payroll such as attendance data, loss of pay information, salary structure, etc., is automatically pre-populated as other modules of the software are seamlessly integrated with it. With just a click of a button, payroll for all employees can be processed. Payslips instantly published and bank transfer statement ready for upload to disburse salaries. All this can be achieved due to self-explanatory user interface (UI) and well designed payroll process. Monthly tax calculations, deductions and filing statutory remittances (PF, ESI, PT, etc.) are frustrating and time-consuming tasks. These are tasks, which can cause hidden losses to the organization. Also, incorrect filing may attract fines and penalties to the organization. SalesFundaa HR and Payroll Management Software provides you relief from keeping yourself updated about the latest laws, amendments, changes and tax slabs as we will auto-update it without any downtime! SalesFundaa HR and Payroll Management Software enables you to verify accuracy in each payroll by using a variety of payroll reconciliation tools at your disposal. You can compare current and previous month’s payroll and also, customize salary register and payroll statements as per your needs. This feature allows you to breathe easy and have complete peace of mind as payroll reconciliation option makes sure that there are no errors in the payroll! Salesfundaa supports Tally intergration this ensures a smooth link between your finance and payroll teams. It allows you to generate Accounts easily due to unique features like tally integration and import and export facilities from excel. Disparate systems for data such as leave, attendance and employee information management make it tedious to constantly switch between systems for processing payroll and calculating taxes. SalesFundaa HR and Payroll Management Software acts as the single source of truth for all dimensions of an employee, which is supported by a strong integration framework. All necessary inputs for payroll will be auto updated from leave, attendance and employee database as and when needed. This saves you a lot of data entry and verification time. Call SalesFundaa on 9235 35 35 35 for more information or your free demo Today.